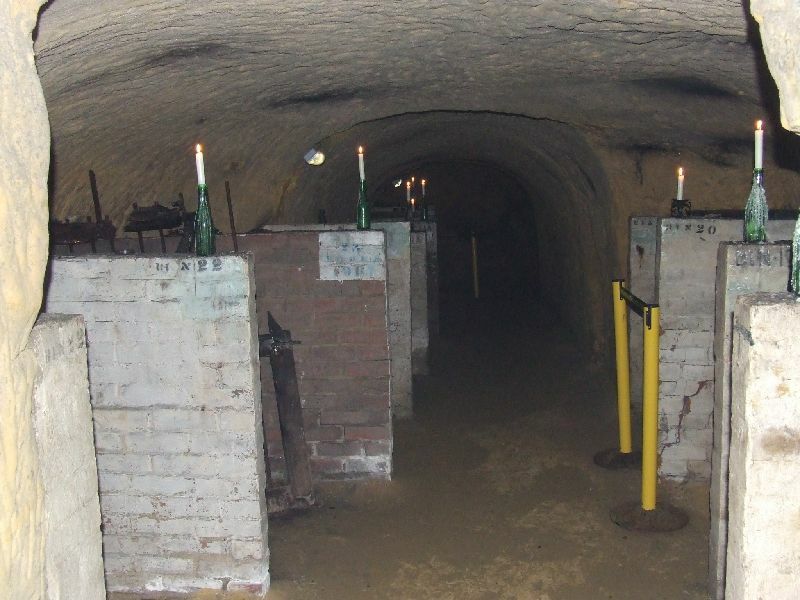 These caves, located in South Street in the centre of Dorking, date back to at least the 17th Century. 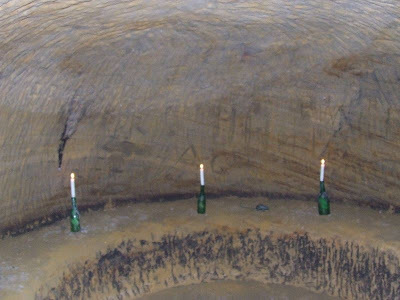 It is apparent inside the caves that they have had many uses over the years, although much of the their history is shrouded in mystery. 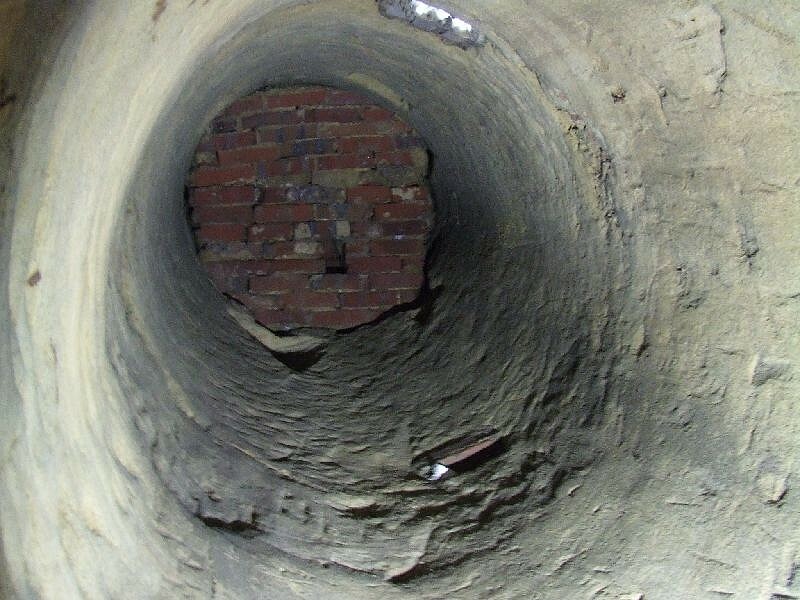 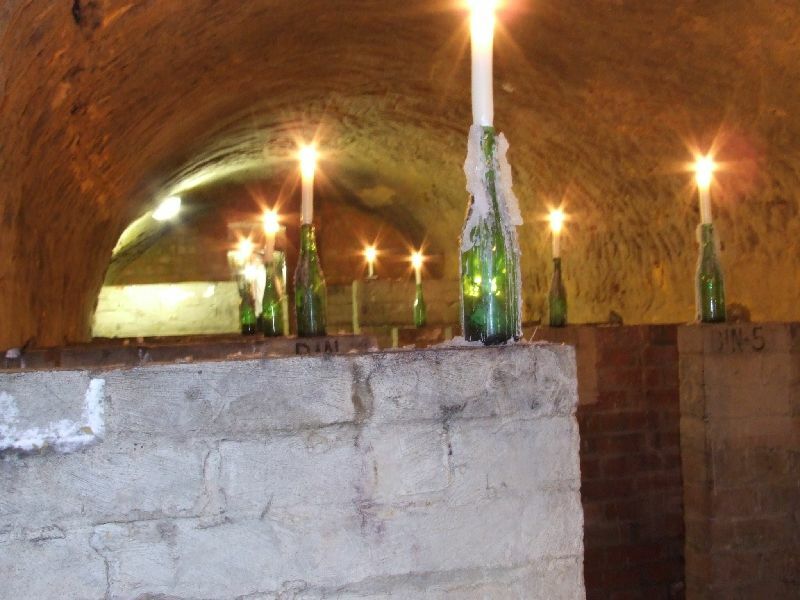 It is certain, however, that two of the upper level passages were used as wine stores during the 19th Century. There is evidence of a number of original entrances to the caves, including two shafts, but all but one have been sealed, this now has a door fitted to allow access. 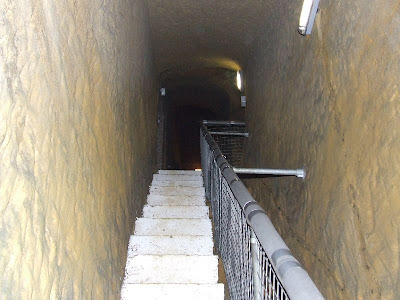 In the centre of the upper level of the caves is a staircase leading down to a landing, then a further set of stairs lead down to a lower passage. 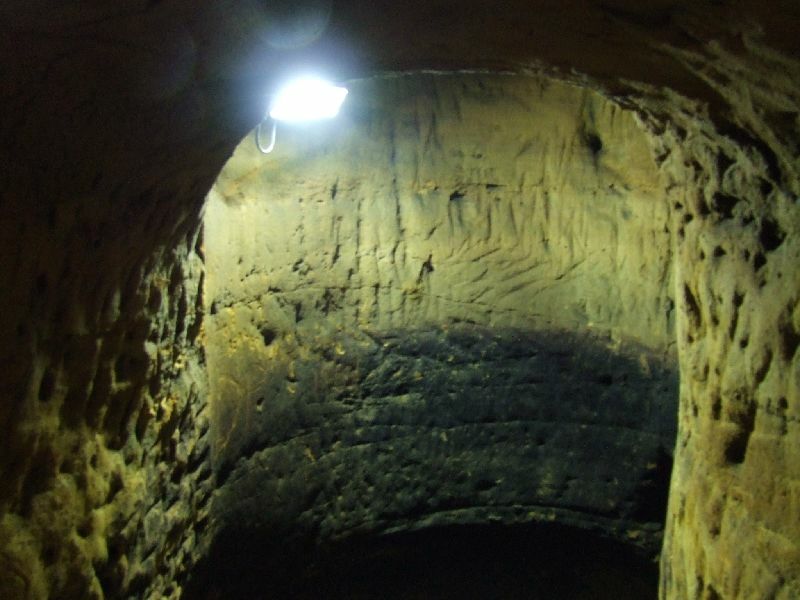 At the far end of this passage is a curious circular room with a bench cut out of the sand stone. 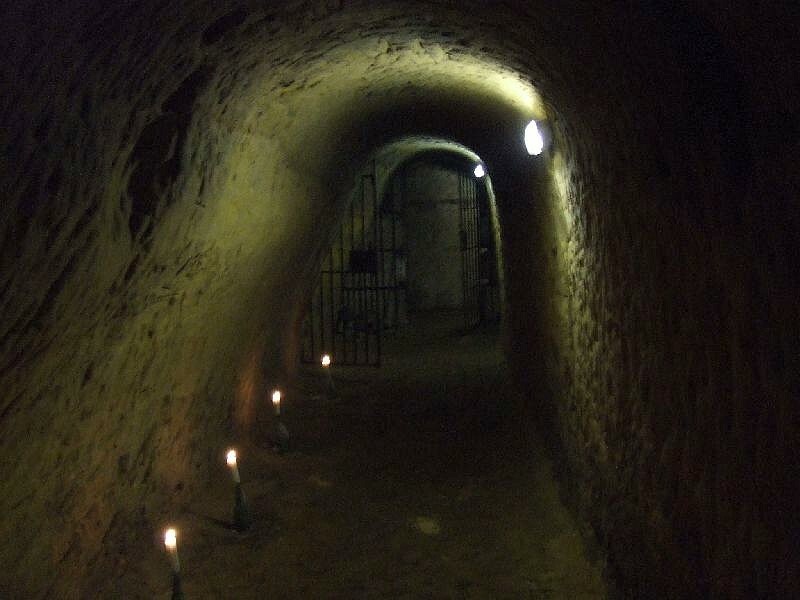 There is much speculation about the reason for such a feature, such as a meeting place for secret societies, but it is just as likely that it was simply a folly. 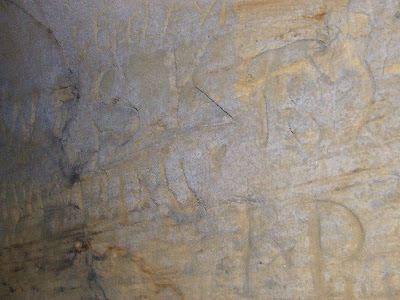 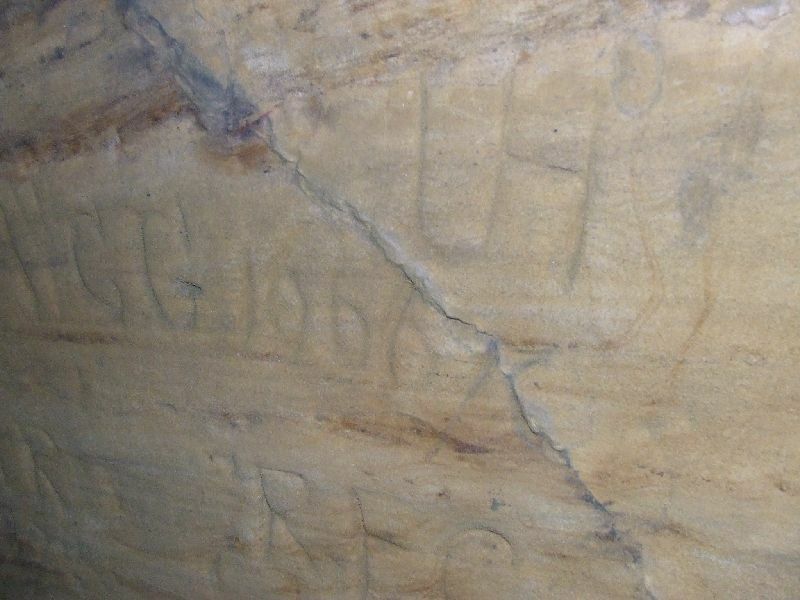 There is extensive graffiti in the caves, largely from the 18th and 19th Centuries, but the oldest recorded is dated 1666. 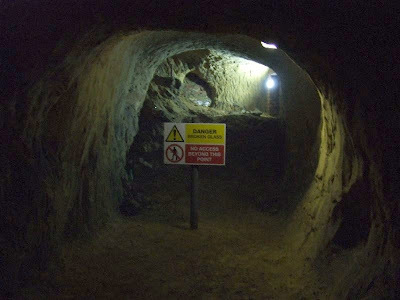 In recent years the caves were opened as a tourist attraction but they are currently closed. The South Street caves are now opened as part of Heritage Open Weekend, many thanks the Mole Valley Council for their permission to publish these photographs. On the lower level, the mark is the water level from when the caves flooded.